Tuesday, June 12, at 1:00 pm. 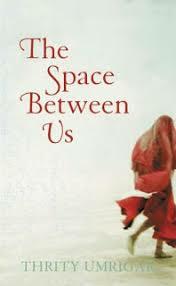 Join us as we discuss The Space Between Us by Thrity Umrigar. It is the story of two women, one servant to the other, in modern day Bombay (Mumbai). Middle class Sera finds herself in constant turmoil as she seeks to strengthen her bond with her servant who within the deadly class structure is viewed as less than human. One reviewer wrote “There is clarity and simplicity in Umrigar’s style as well as a devotion to detail.” Extra copies available at the circulation desk. Newcomers always welcome!